The Diary of Anne Frank is one of the most famous and haunting stories to emerge from the 20th century. Anne in a way that breathes life into this passionate, complex young woman, allowing us to share her relatable experience of adolescence as a familiarly modern teenager while you enjoy a fully catered meal all in a family-friendly experience. Christ Wesleyan Theatre Productions is one of Susquehanna Valley’s finest opportunities to affordably enjoy the Arts. Tickets must be purchased in advance by Monday, June 3. Shows will not be canceled due to inclement weather. In most cases, refunds are not available. All of our productions are family-friendly, however, parents may decide some elements of this particular show might not be a good fit for their child. The doors will open approximately 45 minutes before the show. You may want to arrive at least 20 minutes before the performance begins to allow time to get to your seat. All of our productions are family-friendly, however, parents may decide some elements of this particular play might not be a good fit for their child. Due to copyright agreement, videography & flash photography of this show are not permitted. You may take pictures in the foyer with the cast after the performances. How can I meet the actors? Guests can meet and greet the cast after each of the performances in the foyer and take pictures at that time. Tickets are available to purchase online, Well Read Bookstore during the week, or at The Hub (Milton Campus) on Sunday mornings May 19, 26, & June 2 (cash or checks are accepted on campus). If you’d like to purchase tickets with a credit card, please place your order online. At the end of your ordering process, you can choose how you want your ticket delivered to you with either print at home or USPS mail. What’s included in the cost of my ticket? 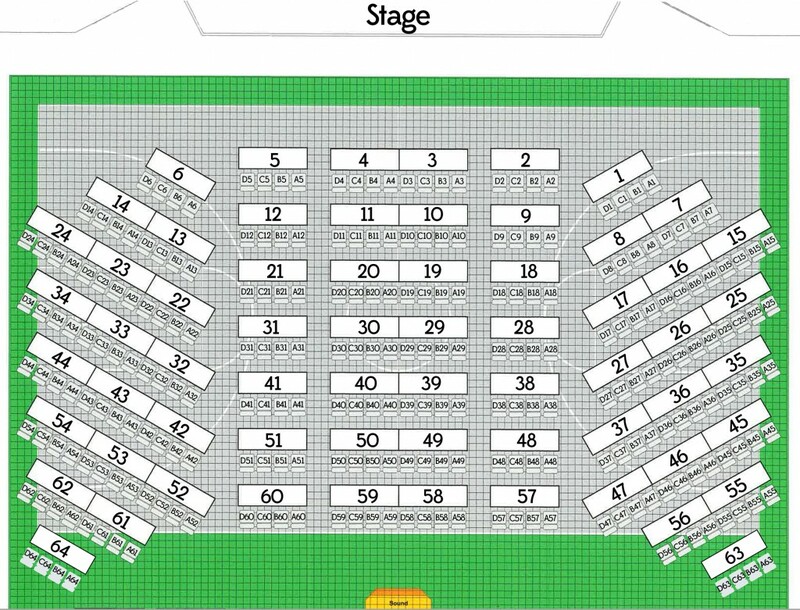 Yes, all seating is reserved, and you can choose your actual seats online. Please note: at this time, online ticketing is currently unavailable on mobile devices unless you click “Standard Website” at the very bottom of the Brown Paper Tickets website. We do our best to offer our shows at an affordable price for everyone. At this time, group discounts are not available. If I cannot attend my show after the ticketing deadline, can I get a refund or exchange? Unfortunately, there are no refunds after the ticketing deadline due to the catered meal. However, you are welcome to pass on your ticket to someone else if you are unable to attend. What should I do if I’ve misplaced my tickets? Please contact the church office so we can reprint your tickets for you. Tickets for children (ages 0-12) are $25.00. Do I have to buy a ticket for my baby? Due to the nature of dinner theatre, we recommend finding childcare for babies. We cannot guarantee an open seat for them unless a ticket is purchased. Is there a place to go if my child cries and we need to exit the theatre, but still see the show? Yes, at the first sign of distress, please remove crying babies and noisy children from the theatre. A live feed of the performance is available on a TV screen in the foyer where you can still see the show with your child. No, we’re not able to provide childcare during the performances. All entrances to the theatre are wheelchair accessible, however, not all seating is wheelchair accessible. The theatre offers seating specifically designed to accommodate patrons in wheelchairs or in mobile transports and their companions. Please contact the church office to request this type of seating. We’re also able to reserve a companion seat at the time of your order. Please note: at this time, online ticketing is currently unavailable on mobile devices unless you click “Standard Website” at the very bottom of the Brown Paper Tickets website.